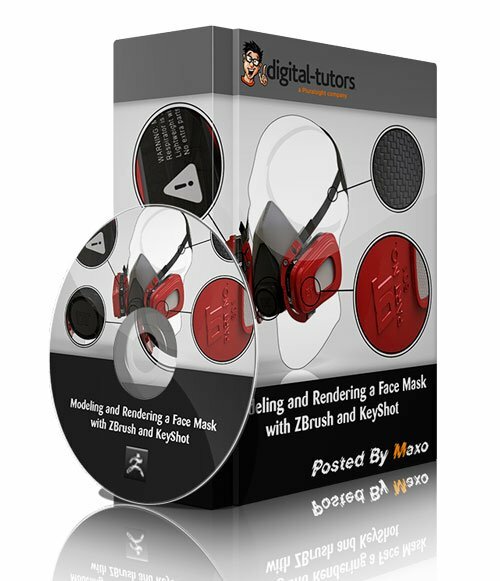 Modeling and Rendering a Face Mask with ZBrush and KeyShot » 3Ds Portal - CG Resources for Artists! In this ZBrush and KeyShot tutorial we'll model a face mask using traditional ZBrush sculpting techniques, retopology, DynaMesh, and ZModeler. We'll go through each step of the process in detail. Once the model is complete, we'll create a photo-real render using KeyShot. By the end of this ZBrush and KeyShot training you'll have a solid understanding of hard surface modeling strategies and techniques in ZBrush, as well as the tools necessary to create beautiful renders of your work using KeyShot.